Around this time five years ago I discovered that the Metropolitan Museum of Art hosts free online art history texts. A recent Tweet from Open Culture reminded me of that collection. Today, I revisited that collection and discovered that it has expanded to 569 volumes. All of the books can be read online or downloaded as PDFs (warning, some of them are massive files). You can search through the catalog of books by thematic category, format, and publication type. And, of course, you can search through the books by title, author, and keyword. 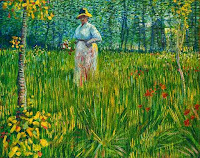 The Getty Museum also has a large collection of art books available online for free. That collection currently has put 325 art books available for anyone to read online and or download. You can find all of these books in the Getty Publications Virtual Library. You can search through the collection by author, keyword, or title. Alternatively, you can simply browse the collections. All of the free books are also available through Google Books. 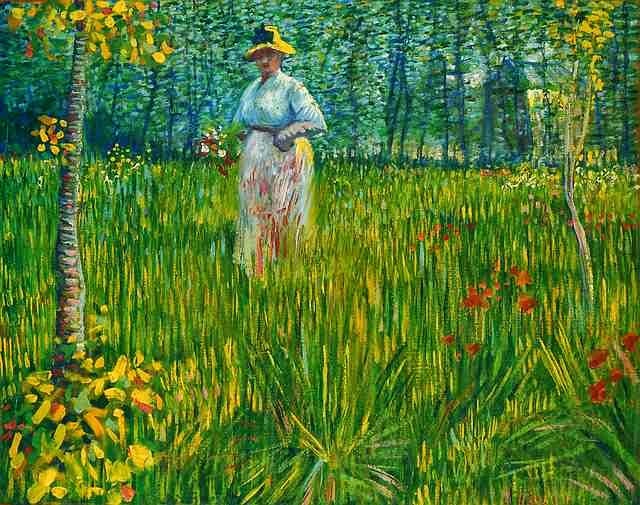 And on a related note, TED-Ed recently published a new video lesson titled Who Decides What Art Means? 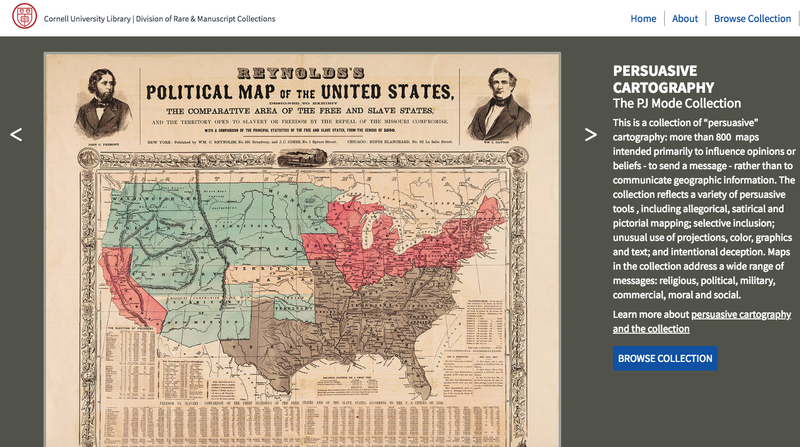 About a week ago Open Culture published an article about Cornell University's Persuasive Cartography collection. I hadn't seen that collection before so I went down a rabbit hole looking at map after map for a good 45 minutes. Persuasive maps aren't maps that you would use to teach a classic geography lesson. That's because persuasive maps are maps that were created for the purpose of sending a message. In Cornell University's Persuasive Cartography collection you will find maps that were created to persuade and satirize. The maps in this collection date back as far as 1491 and up to 2012. Browse through the collection and you'll find maps about the Cold War, imperialism, moral issues, social causes, and plenty of maps related to various war efforts. 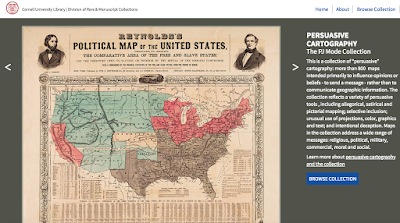 You can browse Cornell University's Persuasive Cartography collection from the homepage of the collection. The better way to search and browse is to jump directly into collection listings here. I found the collection of maps related to imperialism to be particularly interesting. The maps in the collection show a variety of viewpoints geographically, politically, and historically with regards to imperialism. I'd use that collection that spark discussion in my classroom about what imperialism means, who it affects, and how viewpoints change over time. If you teach high school or middle school students, StoryMap JS is a good tool for telling stories through the use of maps, text, and multimedia. A few years ago Storyboard That introduced a great little feature for making greeting cards. Initially, it was only available for a few holidays, but now is available for all of the major greeting card holidays. This is a feature that anyone can use on Storyboard That. In the following video I demonstrate how to design and print a greeting card through Storyboard That. Design, printing, writing, and sending greeting cards can be a good way to engage elementary school students in writing correspondence. A few weeks ago Flipgrid added a new feature called Guest Mode. Guest Mode allows you to give parents access to view a specific topic within a Flipgrid grid. 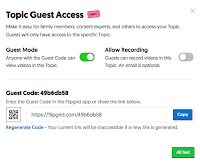 Guest Mode also provides the option for parents to record a video to be added to a specific topic within a Flipgrid grid. Watch my following video to learn how to access Guest Mode in Flipgrid. 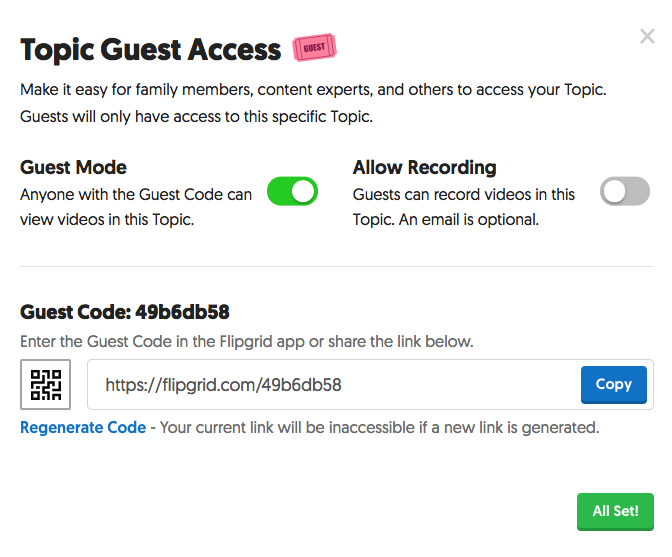 Flipgrid's Guest Mode only grants access to specific topics within a grid, not all topics. As demonstrated in my video, you can revoke guest access at any time. And you can moderate guest submissions. Guest Mode could be great for getting parents involved in a classroom discussion. I can envision guest mode being great for asking parents to share short local history stories. It could also be a great way for parents to share encouraging messages with the class before a big test, game, or concert.